For eight years TWTC has used the Prevectron ESE system to protect against lightning for our Central Office/Distribution Hub facilities housing expensive telecom, datacom and IP equipment. During that time we have not experienced any problems or issues caused by the severe storms which frequent these areas. At TWTC we are finding that evolution of equipment is becoming more compact and definitely more expensive so the best protection of assets is becoming even more critical. Safety concerns have always been a priority at TWTC. TWTC has a significant presence in notoriously 'high lightning' area. This is why we will continue to use the Prevectron ESE system wherever possible to protect our business. 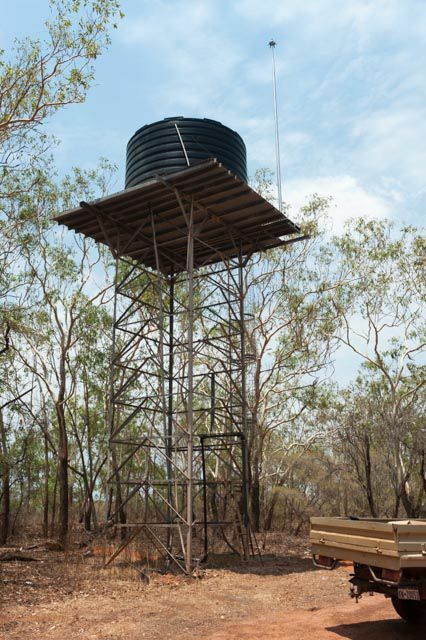 I installed my first LDU Gatekeeper Surge Diverter in 2010 after lighting struck a tree 50m from my home in rural Darwin and caused about $5,000 dollars damage to electrical equipment. Since then I have replaced the Gatekeeper 3 times due to lighting strikes. However I have not had any electrical equipment damage caused by lightning strikes in the 5 years since installing the Gatekeeper Surge diverters. There is no doubt that the LDU Gatekeeper GKSD3-150 has saved me thousands of dollars. Trevor from LDU has always been there with technical support and has offered electrical design solutions to improve the service life of the Gatekeeper Diverter. My orders placed with LDU are received within 2-3 days and installation by a licensed electrician is very simple. Fortunately my insurance company covers the cost of damaged surge protectors and waivers the excess. Birdwood Downs Company is an environmental demonstration project for sustainable pasture regeneration and maintenance. A stud herd of 50 cattle and a herd of 20 horses graze the pasture. The production of fruits and vegetables is part of the operation, for which irrigation is an essential requirement. Water for irrigation, cattle and the household of the station comes from two bores with electrical pumps. Birdwood Downs Company generates its own electricity with a solar power station with a generator as backup. During the wet season there are often heavy electrical storms which are a serious hazard to the underground power cables and the electronics and solar panels of the power station. After two successive lightning strikes with considerable damage the lightning protection was substantially improved. LDU was selected as partner for this improvement. The consultants of LDU made a proposal for a three layer protection, consisting of a lightning diverter on a mast on the water tower near the power station, surge filters on all underground cables and filters to protect the batteries in the solar power station. They advised on the third layer of commercially available surge protectors between the power sockets and electronic equipment in the office and homestead. The proposal of LDU was implemented successfully and has already proven its function in the wet season of 2013/2014. Whitsunday apartmetns is a resort hotel located on Hamilton Islany. Recently they installed a PREVECTRON ESEAT terminal to protect the hotel. The terminal was mounted on a 5 meter high tensile, marine grade spun aluminium mast rated for 69 m/p/s wind speed. The mast was cyclone rated. Only a few weeks later the island was smashed by Cyclone Debbie resulting in significant damage to all buildings on the island. We contacted the hotel recently to ask how the system weathered the cyclon and the following comment was received. Thanks for the contact, there were 2 things that I didn’t do before the Cyclone. The Coffee Cart became a pinball and bounced off and smashed everything in its path.